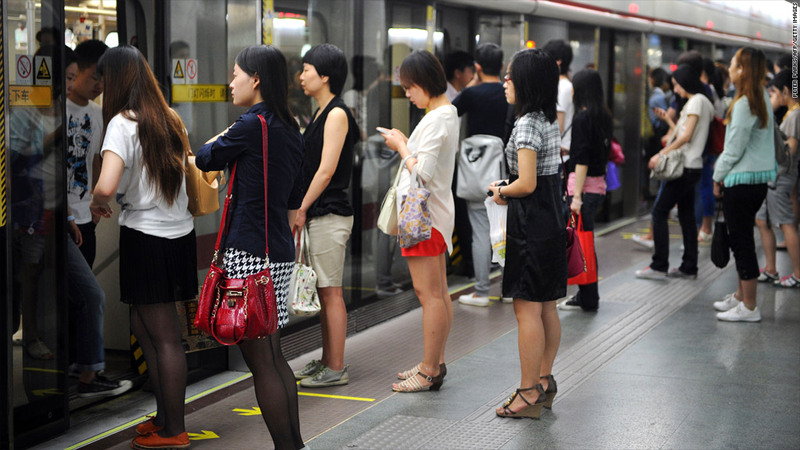 China recently announced plans to boost spending on subways and other transportation infrastructure to boost its economy. But China may not be as aggressive with stimulus as the Federal Reserve and European Central Bank. Now that most of the developed world's major central banks have all committed to some form of open-ended quantitative easing, we can start to make some concrete predictions about the effects this will have in Asia. In general, QE is being undertaken in the West to stabilize debt markets that are deflating. So this may do little to actually stimulate sustainable economic growth. But, the uncertainty as to whether the central banks would act aggressively kept a lid on many emerging growth markets for months. Here's what may happen next. China has been lowering interest rates but it cannot afford to do print money to buy bonds like other central banks have done. China's central bank can still announce more fiscal stimulus due to its strong trade surplus. The recent plan to spend $156 billion on domestic infrastructure is significant, but compared to the amount of money the Federal Reserve and European Central Bank may wind up spending, it might was well be $156. The political situation in China is proving to be more volatile than we may have originally thought as the response to Japan's buying the Senkaku islands seems completely out of proportion with the level of threat or even insult this is represents. It speaks to a party that needs to redirect anger at its own mishandling of the economy. That this is coming just a few months after Japan and China signed the most sweeping currency and trade agreement of any that China has signed with another country seems very odd. Japan's response to the QE announcement by the Fed was to extend their existing QE program another 10 trillion Yen (~$128 billion US). That may sound like a lot but it's even less than China's most recent stimulus program. This suggests that the Bank of Japan is uninterested in printing to oblivion at the same rate as the Fed and ECB, and that Japan will manage the yen's rise while shifting its focus towards more regional trade. Japan and China are each other's largest trading partners, which makes this row over the Senkaku Islands seem manufactured to force the Japanese to choose a side in the growing cold war between the U.S. and China. So far, Japan has been trying to work with both sides. It is helping to internationalize China's yuan currency and is giving China a clear alternative to U.S. Treasuries with its own bonds. At the same time, Japan has stepped up its purchase of Treasuries, buying more than $200 billion's worth in the past 12 months. I expect the Bank of Japan to continue to try and position the yen as an alternative regional reserve currency as other Asian nations like Thailand, Malaysia and Indonesia try to lessen their reliance on the U.S. economy. By keeping the yen strong versus the euro and the dollar, Japan can attract capital from overseas and use it to deploy it around Asia. There should be enough money sloshing around the region so that Asian nations can continue their trade with the West at current levels while also focusing more on regional growth. The economies of Indonesia, Thailand and Malaysia are already growing above expectations this year despite volatility in their currencies because of the fear over Europe. With worries about Europe starting to wane, these countries, as well as the best companies in them, should have little trouble raising capital through bond sales. The wildcards for Asia are Hong Kong and Singapore. We're already seeing signs of a property bubble in Hong Kong thanks to the Fed's four-year old policy of interest rates near zero. That's because Hong Kong's dollar is nominally pegged to the U.S. dollar. Now that the Fed has implemented a program that will further debase the dollar -- and expand its already bloated balance sheet -- Hong Kong is being forced to reassess its currency peg. If they do not make changes, this could result in an even bigger property bubble. That would lead to loan problems for Hong Kong banks similar to those plaguing those in the U.S., Europe, China and, to a lesser extent, Singapore. Since the Monetary Authority of Singapore (MAS) pegs its interest rates to that of the Fed, its economy is vulnerable to a property bubble like the one in Hong Kong. Inflation is currently above 4% and has recently been above 5%. While Singapore's banks are all very well capitalized and their foreign exchange reserves are higher than their annual GDP, the Fed's QE3 policy will put pressure on an economy already dealing with sluggish growth. But all in all, the latest round of QE is mostly bullish for Asia as it creates some certainty after the past 12 months of extreme uncertainty. Even though the actions by central banks in the West appear to indicate that their economies are worse than the headlines make it seem, the mere fact that the Fed and ECB have acted should reassure investors throughout Asia.